Home cooks have a bonanza to choose from this holiday season. 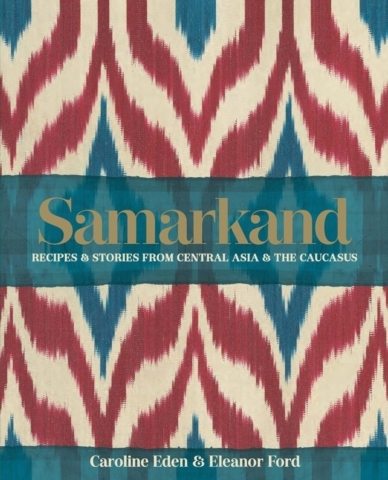 Some gravitate towards the anthropological while others are strong on the how and what to cook. All are entertaining reading, not guaranteed, but likely to crank up your skills and repertoire to PhD level. 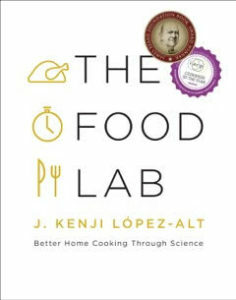 THE FOOD LAB: BETTER HOME COOKING THROUGH SCIENCE by J. Kenji Lopez-Alt is a terrific resource. Keeping it handy in the kitchen is the equivalent of having a chef’s assistant. Almost all your questions about technique, equipment, shopping and storing ingredients, utensils, and how to stock your kitchen are explained in detail. Best recipe surprise: foolproof onion rings. 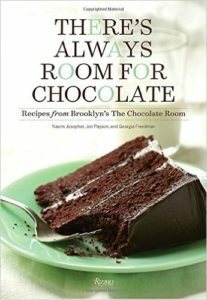 Another book that is guaranteed to make you more knowledgeable is TASTE & TECHNIQUE: RECIPES TO ELEVATE YOUR HOME COOKING by Naomi Pomeroy with Jamie Feldmar. Pomeroy’s approach is based on what she calls “building blocks.” She explains how techniques and ingredients fit together and build off one another. 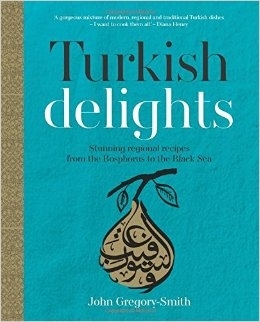 The chapter on poultry, by way of example, is arranged from the simplest recipe to the most complicated. Somewhere in the middle, Pomeroy presents her unrivaled one-pot meal of savory, porcini -braised chicken thighs with variations depending on the season. 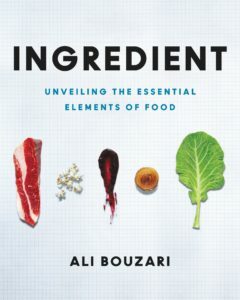 INGREDIENT, UNVEILING THE ESSENTIAL ELEMENTS OF FOOD by culinary scientist Ali Bouzari is organized around eight ingredients that make up what Bouzari terms the “New Pantry.” Each ingredient – water, sugars, carbohydrates, lipids, proteins, minerals, gases, and heat – has its own personality and possibilities. No recipes here, just scientific explanations, excellent diagrams, and a new way to start thinking about ingredients from a chef with a PhD in food biochemistry. 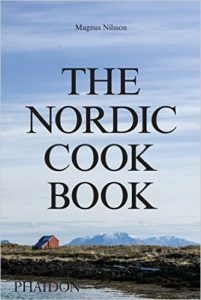 Magnus Nilsson’s THE NORDIC COOKBOOK, a doorstop book of more than 750 pages, is a guide to Nordic cuisine. 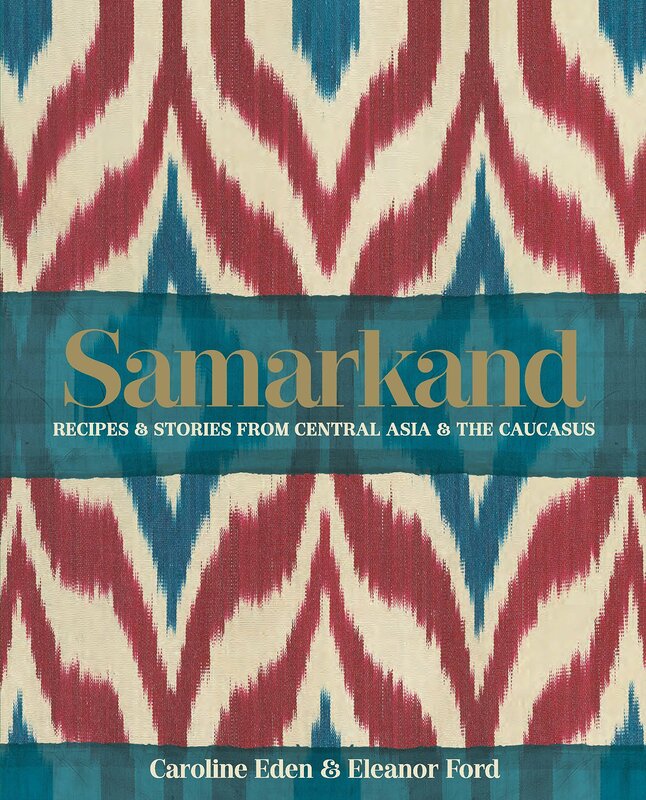 Organized by food type –meat, fish, vegetables and much more — with 700 authentic recipes, home cooks can indulge in the familiar and experiment with the new. 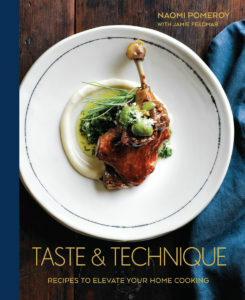 Nilsson in print is as accessible and charming on the page as he is on his PBS culinary series Mind of a Chef. 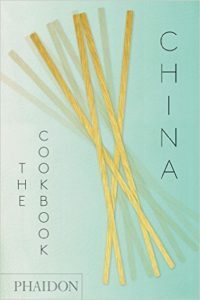 CHINA, THE COOKBOOK by husband and wife Kei Lum Chang and Diora Fong Chan is likely to be the most definitive cookbook bible of Chinese food for decades. 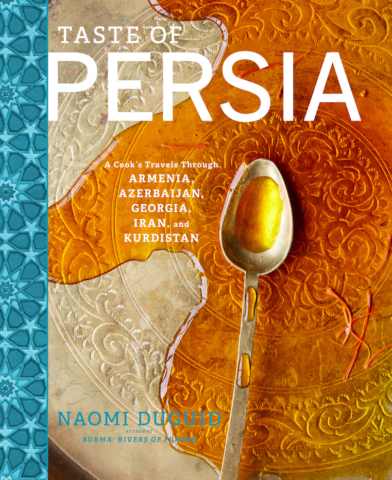 The research and travel that produced this massive cookbook, reflecting 33 Chinese regions and subregions, must have been prodigious. Each recipe’s origin, prep time, cooking time and a photograph encourage you to experiment. But to stay with the familiar, there’s lots to tempt you –sweet and sour soup, spare ribs, eggplant in garlic sauce, and the always easy-to-prepare and welcoming stir-fried Shanghai noodles. 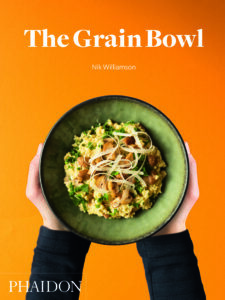 THE GRAIN BOWL by Nik Williamson is encyclopedic. Many of the dishes are from around the world. 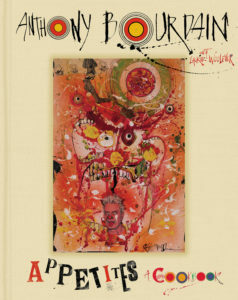 When compiling the recipes for this book Williamson says he tried to be inclusive of all tastes and techniques relying on grains to make a bowl of something delicious and nourishing. 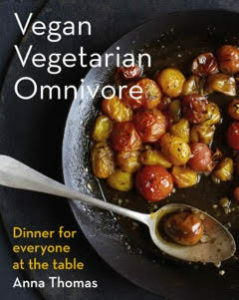 VEGAN VEGETARIAN OMNIVORE: DINNER FOR EVERYONE AT THE TABLE by Anna Thomas is a must have for families which typically have so many food preferences it takes a spread sheet to keep track of them. Her “Thanksgiving for Everyone” is ideal for reuniting a divided family table. The way America eats is changing radically and Thomas’s suggestions are designed to work with countless food preferences. 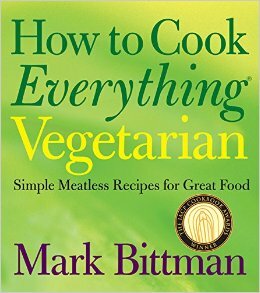 At almost 1,000 pages, Mark Bittman’s HOW TO COOK EVERYTHING VEGETARIAN; SIMPLE MEATLESS RECIPES FOR GREAT FOOD is a masterwork with advice on everything from acorn squash to zucchini burgers. A MODERN WAY TO COOK: 150 +VEGETARIAN RECIPES FOR QUICK, FLAVOR-PACKED MEALS by Anna Jones tackles the problems of getting a healthful vegetarian meal on the table after a long day at work. 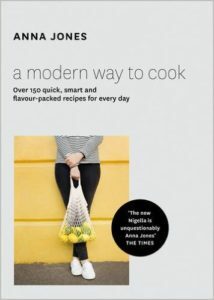 Her recipes are broken down by time with recipes that can be prepared in 15,20, 30, and 40 minutes. 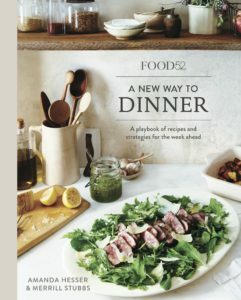 Amanda Hesser and Merrill Stubbs, founders of the easy-to-love online kitchen and home company Food 52, have done it again. Their FOOD 52, A NEW WAY TO DINNER; A PLAYBOOK OF RECIPES AND STRATEGIES FOR THE WEEK AHEAD is the go-to book for busy people. Their strategy is a week’s game plan for feeding a family of four when you have little free time.. Each week’s plan, organized seasonally, has a grocery list, recipes and a schedule showing how much time you probably will spend cooking, especially on weekends. 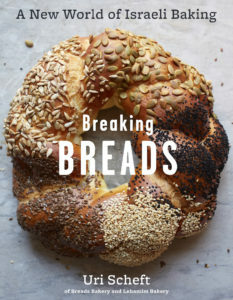 Uri Scheft’s BREAKING BREADS: A NEW WORLD OF ISRAELI BAKING is fiendishly complex, but worthwhile. Until Scheft, Sullivan Street Bakery’s Jim Lahey was the authority many bakers counted on. His equal is Scheft whose Bread Bakery (Union Square, NYC) is deservedly famous for everything from babkas to baguettes. Scheft’s techniques are demanding —at least for the novice – but the results are arguably the most satisfying bread you have ever enjoyed. 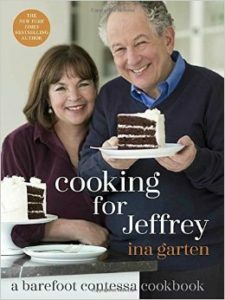 It’s no stretch to assume that every new book by Ina Garten, host of the Food Nework’s Barefoot Contessa, is a reason to celebrate. 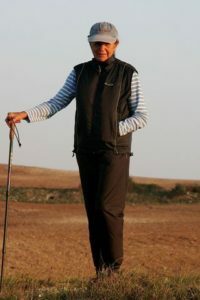 COOKING FOR JEFFREY is a collections of recipes Garten has been cooking for her friends and husband of almost 50 years. Some are traditional favorites such as filet mignon with mustard and mushrooms. Others are newer – kale salad with pancetta and pecorino and chipotle smashed sweet potatoes. Garten is an icon for a very good reason: her no-fail recipes. 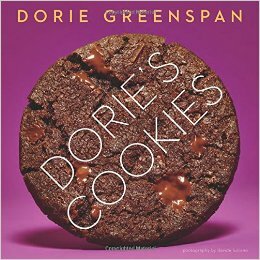 DORIE’S COOKIES: THE PERFECT-COOKIE HANDBOOK, TECHIQUES, INGREDIENTS, AND GEAR by Dorie Greenspan, is without peer. Her recipes are easy-to-follow, even one for macarons and “Christmasy” pfefferneusse. The big surprise here are myriad recipes for what Greenspan calls, “cocktail cookies” savories such as Parmesan galettes that you can whip in a flash. Greenspan is justifiably renowned and her new book, like her others, is exceptional.